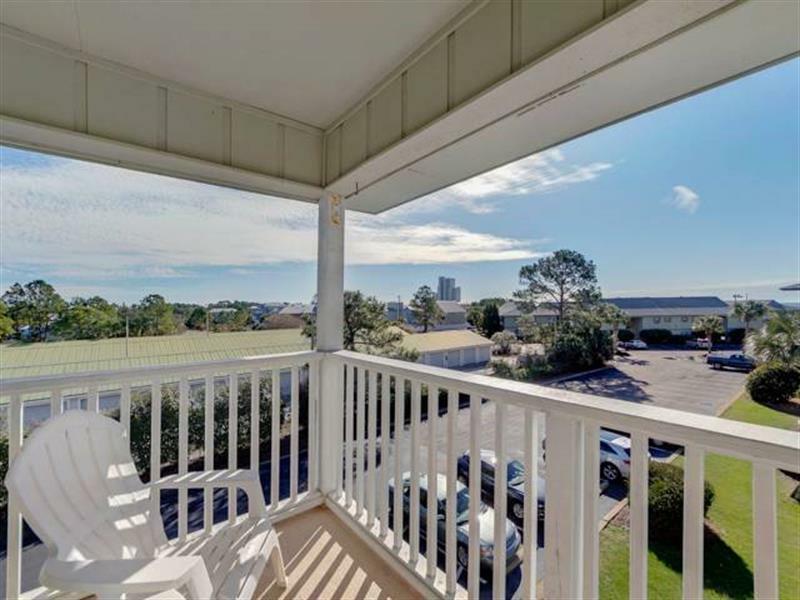 Enjoy the view and your morning coffee from the third floor balcony. 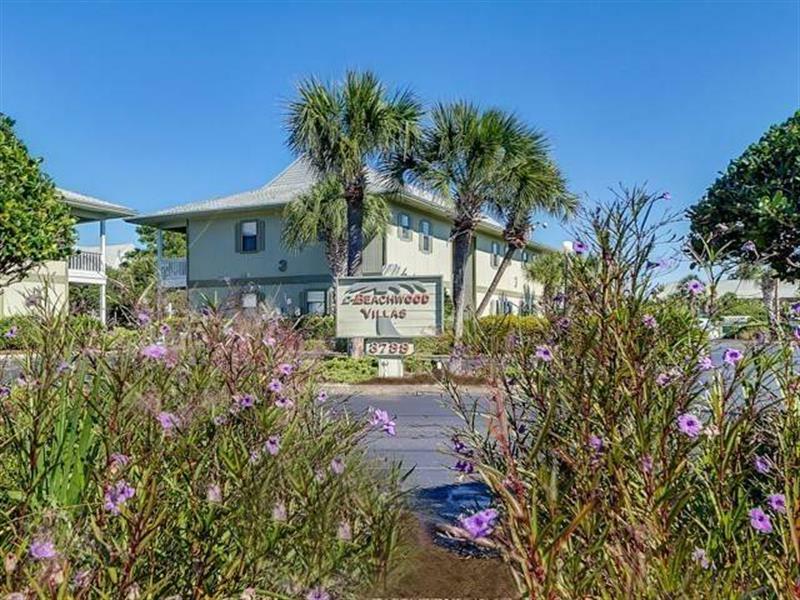 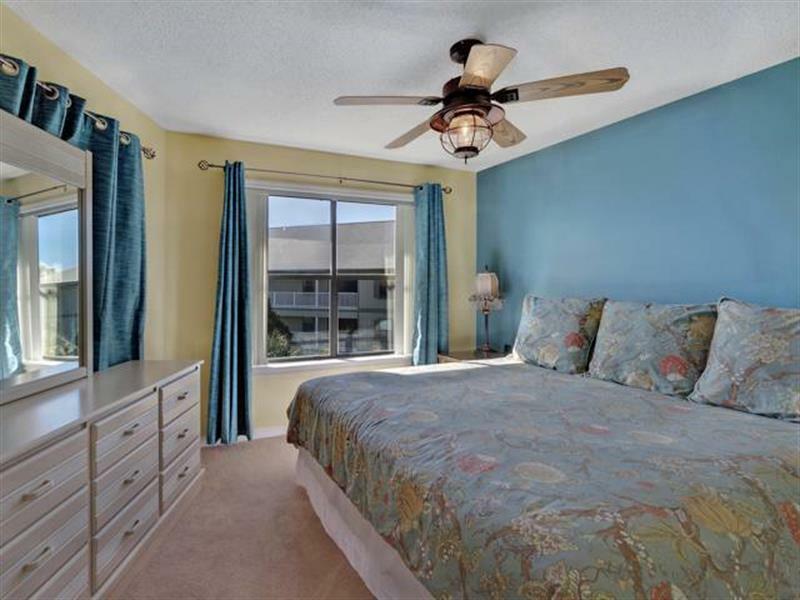 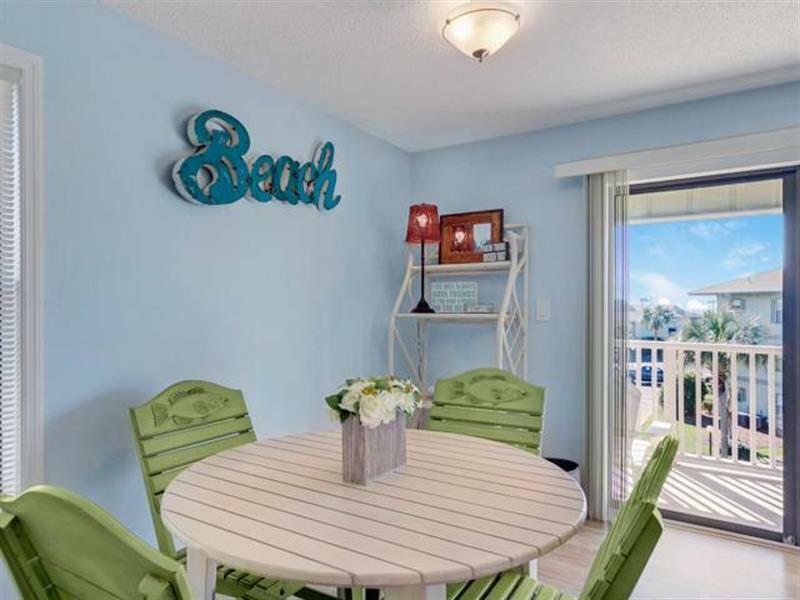 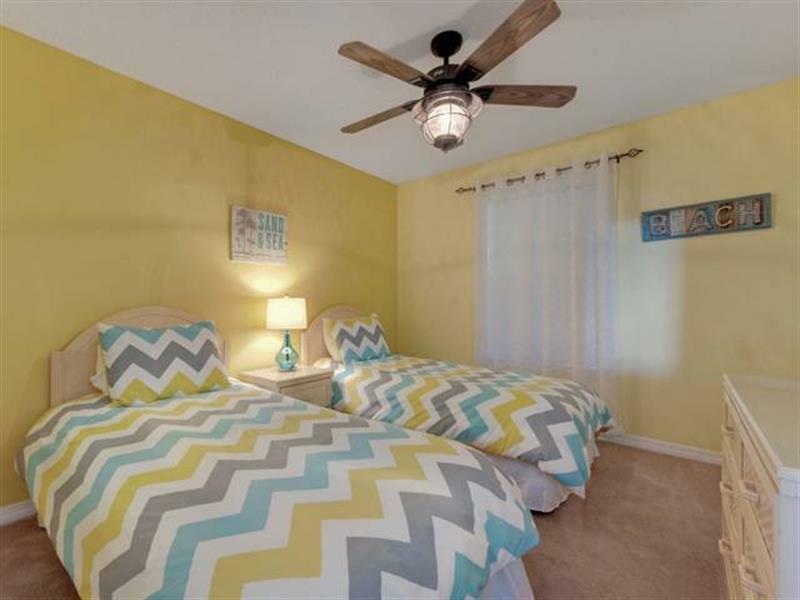 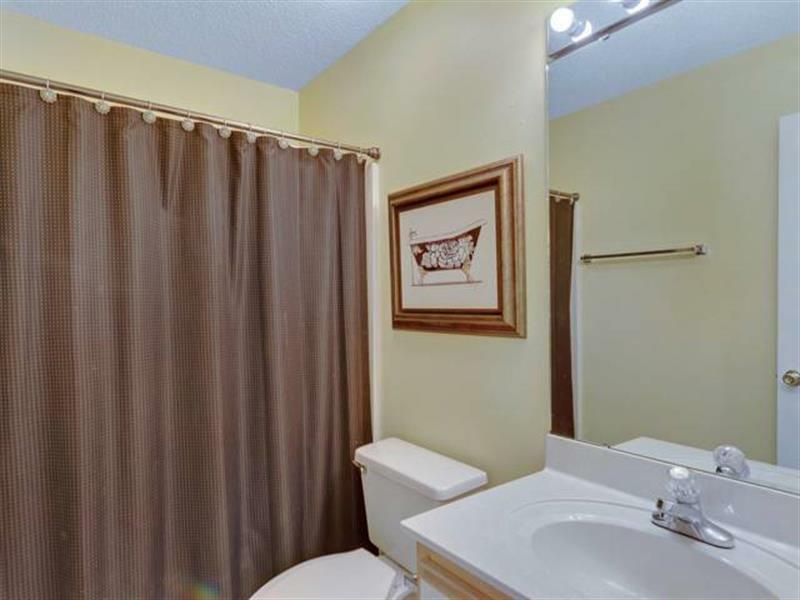 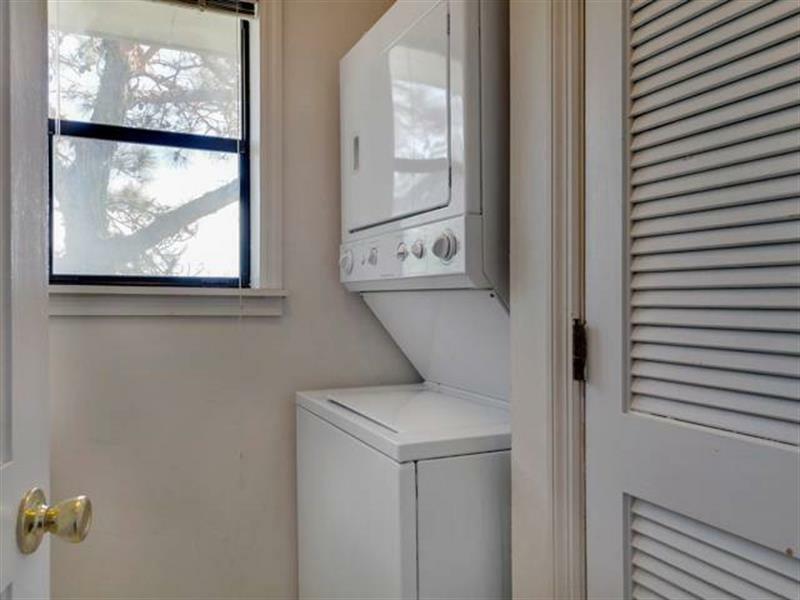 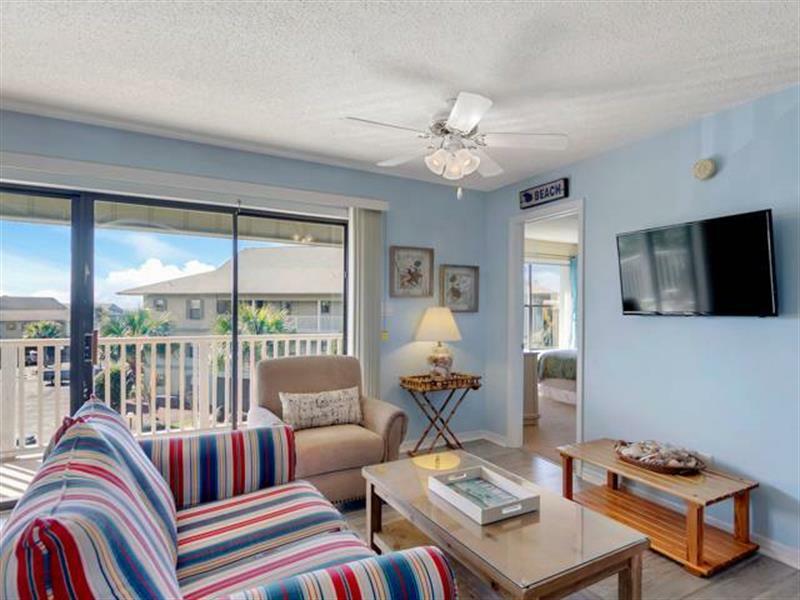 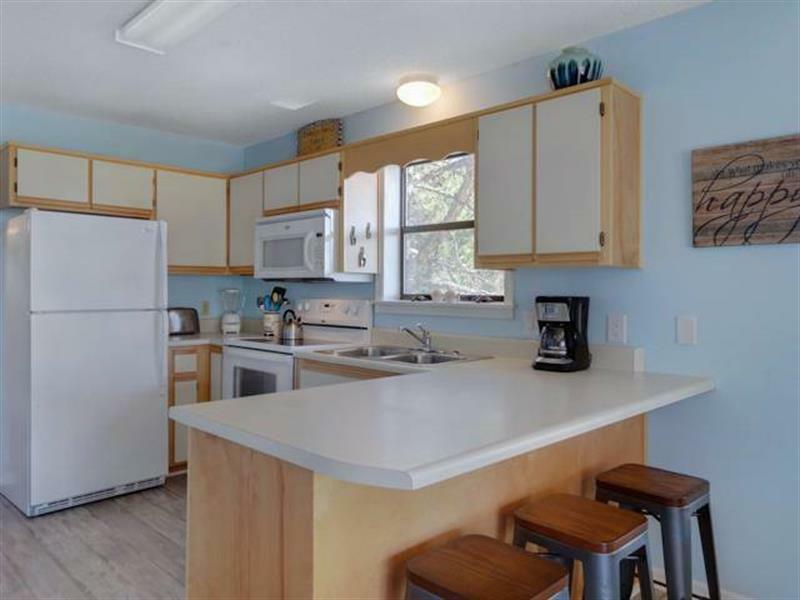 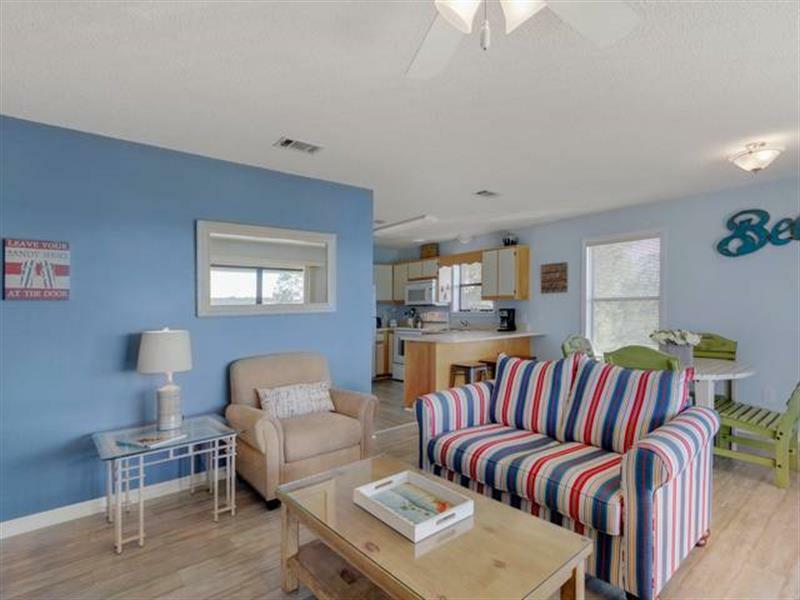 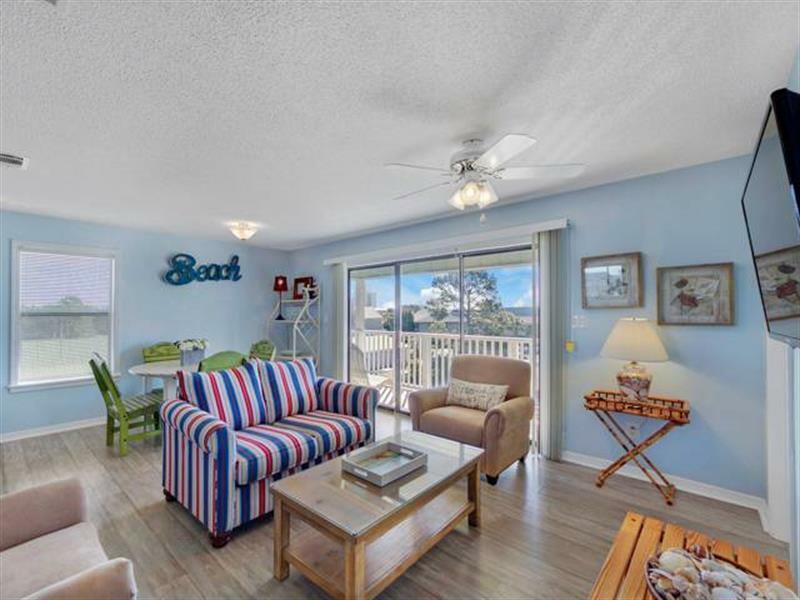 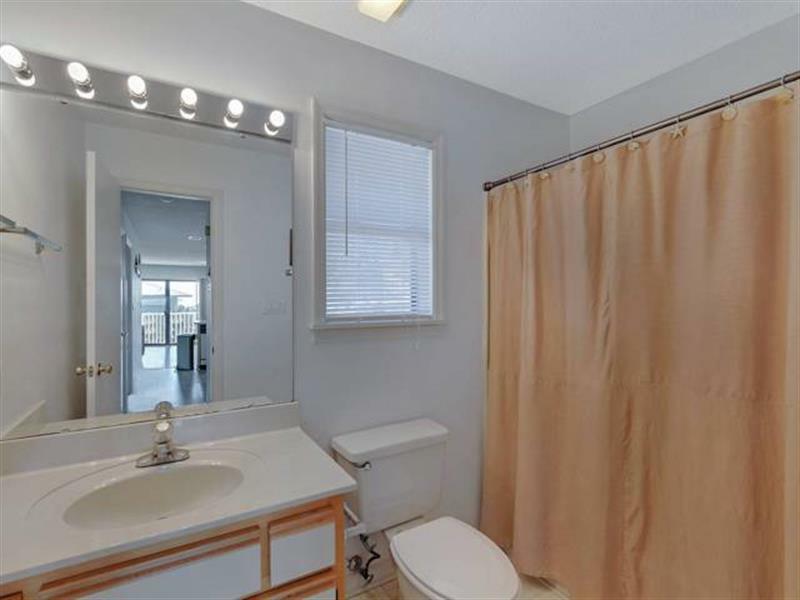 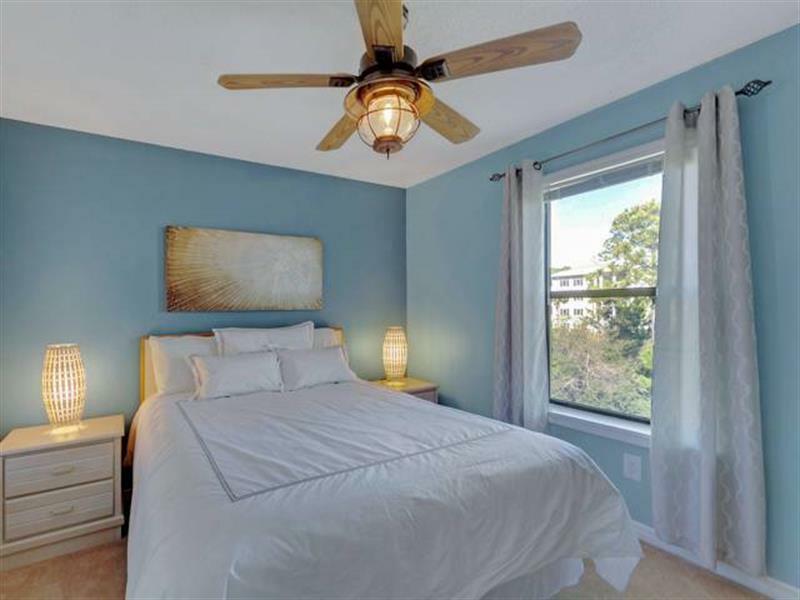 This 3 bedroom/2 bath condo is cheerfully decorated with a king bed in the master, a queen guest room and a third bedroom with two twin beds. 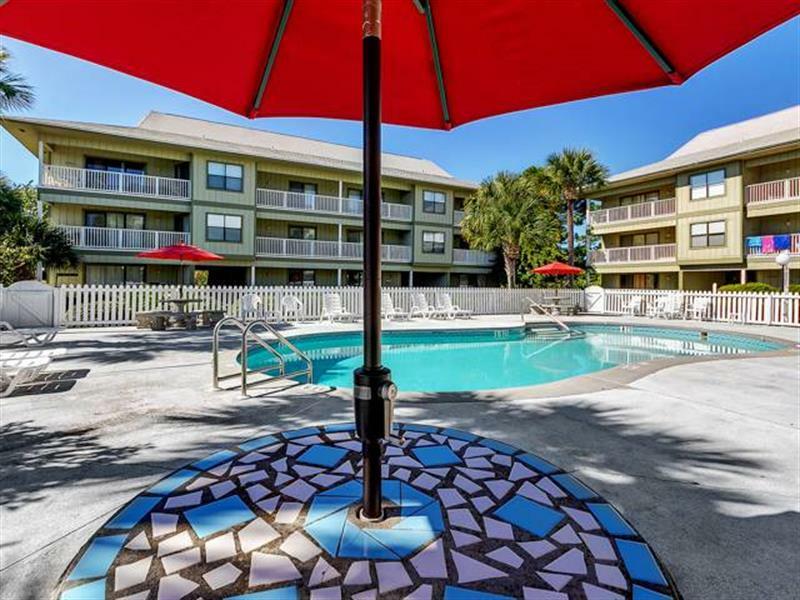 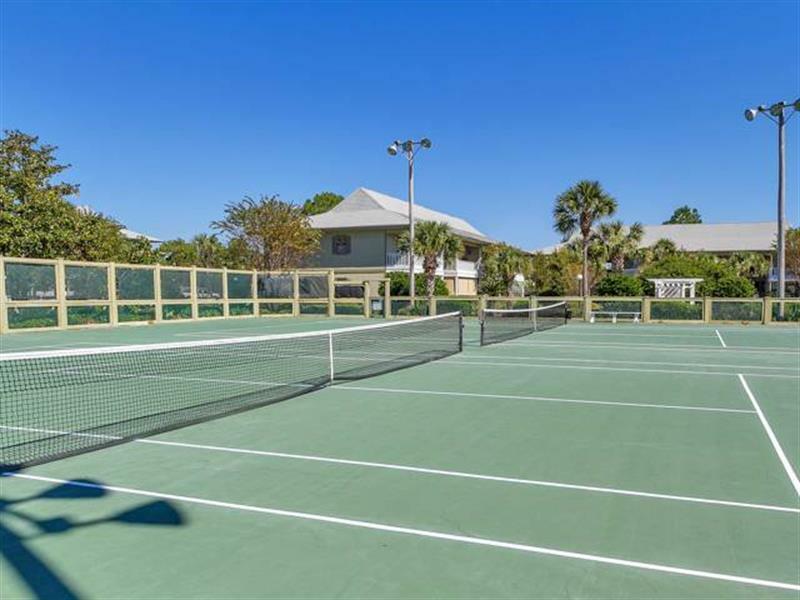 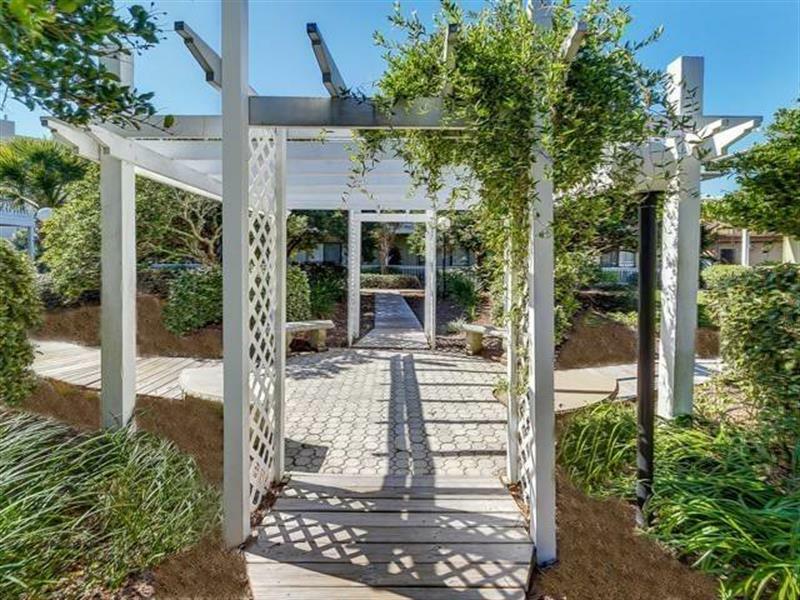 Beachwood Villas is a beautifully landscaped complex with two pools (one heated seasonally), tennis courts, shuffleboard, and a payground. 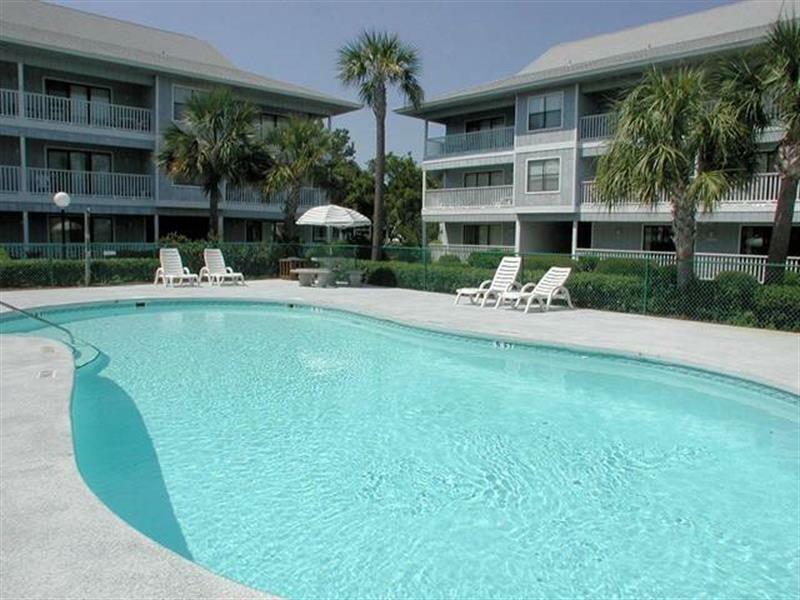 The public beach access is conveniently located across the street. 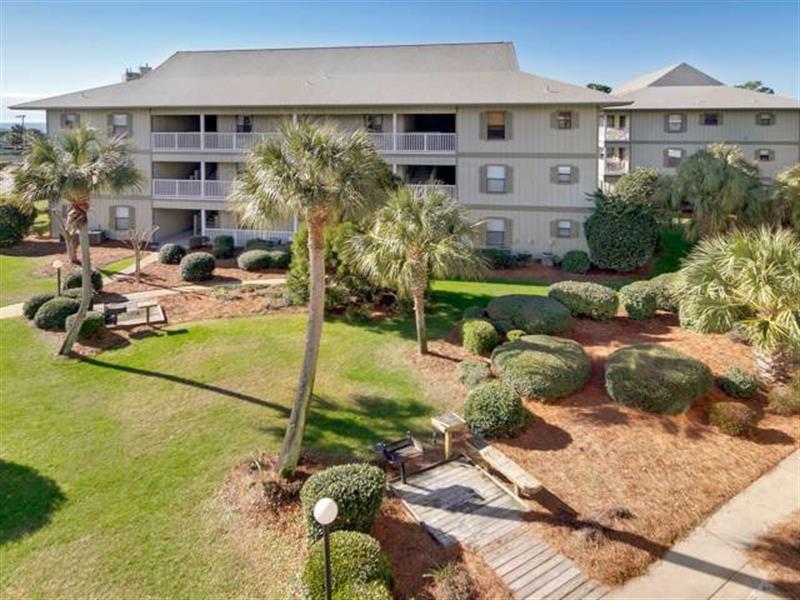 Want to get out and explore? 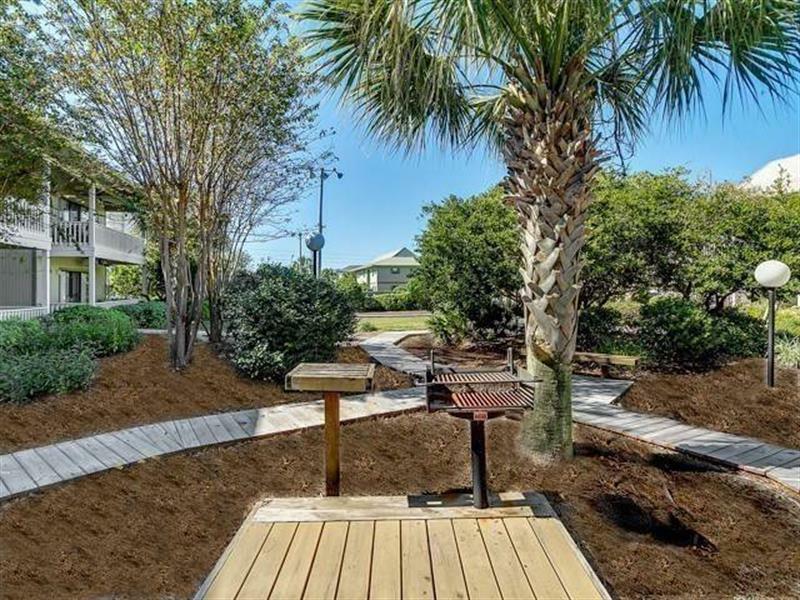 Rent a bike and enjoy the 20 miles of bike trail located along Scenic Highway 30A. 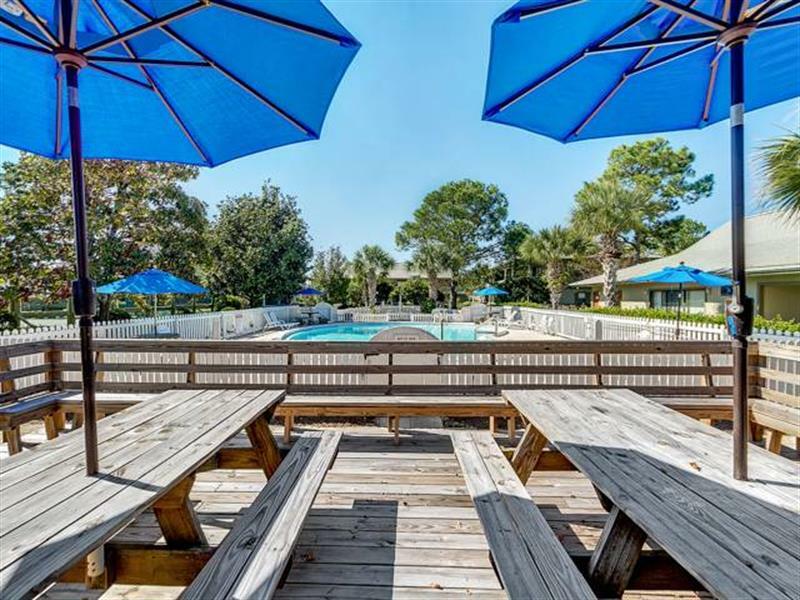 Seaside is approximately 1 mile west of if you're feeling more ambitious, head east approximately 7 miles to Alys or Rosemary Beach.